Weston, Plantation and Davie Florida are situated in Broward County, near I-75 and the Everglades Wildlife Management Area. Davie and Plantation have nearby access to I-95, and Weston is close to the Sawgrass Expressway. Davie luxury real estate, Weston luxury real estate and Plantation luxury real estate will give you security and put you in an involved community that is diverse and enjoys a vibrant lifestyle close to parks and recreation. Davie equestrian properties and Plantation’s estates are well known for their beauty; Weston’s beautiful and extensive landscaping permeates both the city and the residences. 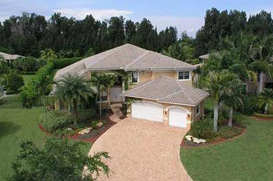 Davie has gated luxury single family homes that range from three bedroom to large equestrian estates. Many Davie residents celebrate the equestrian lifestyle, and the city provides trails for riding, biking and hiking. Davie luxury communities include Riverstone, Long Lake Ranches, Imagination Farms and Mystique. Fruit trees, lush landscaping and canal views are some amenities that make Lakes Estates special. Weston luxury communities include Weston Hills Country Club, Palm Island, Wyndmill Ranches and many more. Plantation luxury community includes Hawks Landing and Black Hawk. Schools are part of the Broward County Public School District and Davie Schools include highly rated schools, such as Fox Trail Elementary, Hawkes Bluff Elementary, Nova Middle School and Nova High School. Dwight D. Eisenhower Elementary has won a 5 star award. Weston has many very highly rated public schools; among them are Indian Trance Elementary, Falcon Cove Middle School and Cypress Bay High School. Fortune 500 companies make their home in Weston and retail, warehouse and other businesses are found in a city that welcomes a diverse business climate; included are Cleveland Clinic Florida, Miami Children’s Hospital Dan Marino Center and Broward Health Weston. Davie is represented by the educational sector, with four universities close by. Among the institutions that hire are Florida Atlantic University, Broward College and the University of Florida. Plantation is home to some of the country’s largest companies, including DHL. Davie luxury real estate, Plantation luxury real estate and Weston luxury real estate promise fine and distinctive living in the best of communities.